The way that people use the land � whether for food production, recreation, housing and other infrastructure � shapes the habitats of birds and other wildlife. Over time, almost all of the landscapes of developed countries have been created largely by human action, and have been continually modified as human needs and desires have changed. Bird populations are ultimately dependent on human activities, and this timely addition to the New Naturalist series examines what can be learnt about the needs and ecologies of the different species involved. The bird faunas of Britain and Ireland can be considered no less man-made than the landscapes in which they live. Each major change in land use practices has brought changes in the distributions and abundance levels of particular species, affecting the diversity and species composition of particular communities. The truth of these statements has become apparent from the documented changes in vegetation and bird populations that have occurred in historical times, but particularly from the major changes in land use, farming and forestry procedures that have occurred over the past half-century. During this recent period, bird populations have been better monitored than ever before, so that the marked changes in the distributions and numbers of species can be quantified and related to the man-made changes in bird habitats and food supplies. Massive changes have occurred within our own lifetimes, looming strongly in the memories of most interested adults. Very few, if any, bird species in Britain and Ireland have escaped the effects of recent land use changes, water management or fisheries policies. Sadly, most of the effects have been negative, causing many bird populations to decline, and reflecting a wider problem embracing biodiversity as a whole. 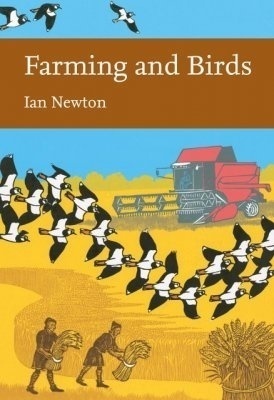 Ian Newton discusses the changes in bird populations that have occurred, mainly in the twentieth century, in relation to changes in land-use. He explores how human land-use, water management and fisheries practices affect wildlife, and how this understanding is essential to the future conservation and maintenance of bird populations.